If you’re planning an event and want to include a tasty snack or two into the mix, the concessions at Waco Bounce House Rentals have you covered. 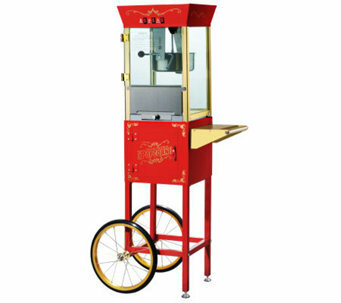 Our popcorn machine lets you bring this timeless treat to your next party or event, and it comes with everything that you need to get going! This includes the machine itself, popcorn kernels, butter seasoning, popcorn bags for easily serving guests, and a scoop. We can accommodate the included servings to fit the size of your party! Reserve the Popcorn Machine today, and be sure to browse all other offerings that we provide at Waco Bounce House Rentals! Our popcorn machine comes with enough popcorn for 50 servings with bags.